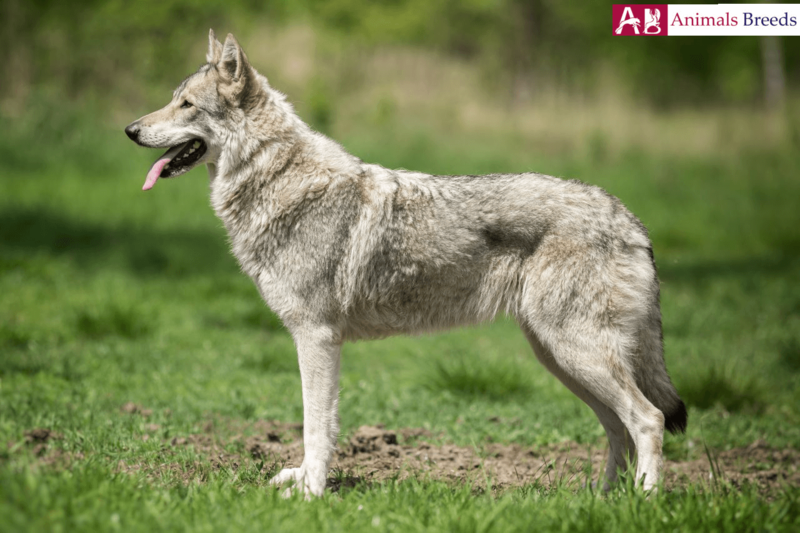 Saarloos wolfdog is a magnificent dog breed developed by cross mating German Shepherd Dog with European Wolf. The result was kind, loyal and compassionate breed. 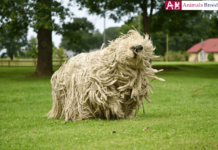 The dog’s fascinating appearance can attract anyone but this breed is not meant for everyone. 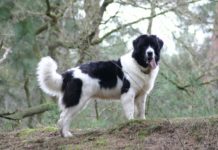 You need to be experienced dog owner and your house should be accompanied with yard where these large dogs can wander freely. 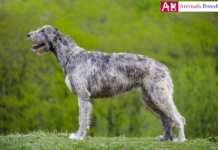 This breed is full of energy and needs space of his own. Apart from exercise only thing they crave from owner is love and respect. Though they are reminiscent of wolf, but they are well mannered canine species. They tend to willful minded but they are devoted to obey their master’s command. If you provide socialization lesson at an early age, they even tend to befriend strangers. The dog craves for another dog partner. It generally prefers dogs of its size so that they can be true playmate. With children there is no risk but it is advisable that one should never leave children and dog unsupervised. If you have a small pet then vigilance is always required with them. 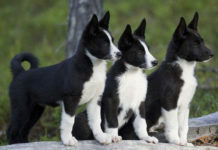 It is 19th century breed which belongs to Germany and Netherlands. 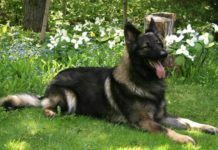 Leendert Saarloos, who was renowned breeder and nature lover, crossed male German shepherd with a female wolf. The resultant puppies consisted ¼ of wolf’s blood. There was no particular reason for the development of this breed. He just wanted a large and sturdy dog as family companion. Grooming needs of the dog is low. 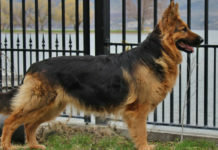 It is a large to medium sized dog having well balanced muscular body. 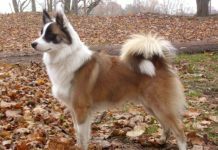 The dog is similar in looks with wolf. It has same shape of face and muzzle as that of a wolf. Eyes are again yellow in color just like wolf. Neck is well carved and strong. Teeth should meet in a scissors bite. 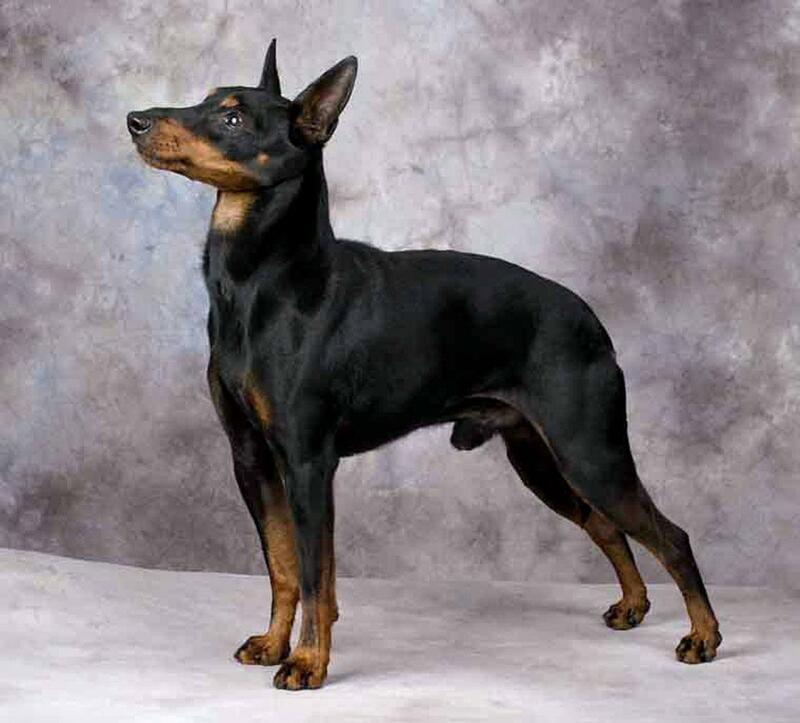 The ears of the dog are like Doberman- triangular and rounded at the tip. Just like wolf it is light on its feet and walks stealthily. 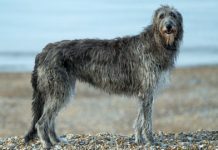 The dog is slightly longer than tall with deep chest and straight back. Their tail is long and thick which is carried in a natural curve. 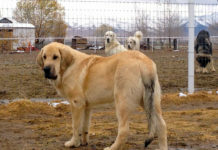 Ideal size of the male breed is 65 – 75 cm while that of female is 60 – 70 cm. 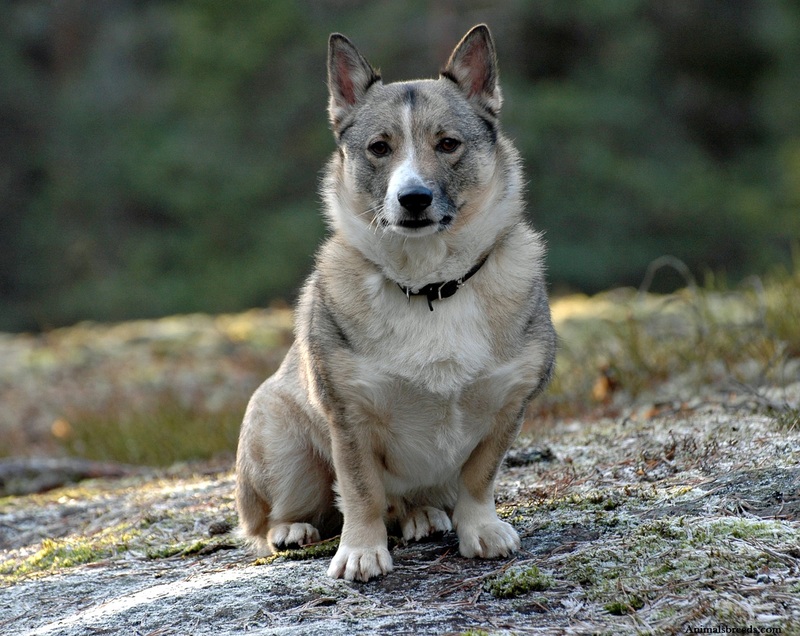 Weight of breed should range between 36 – 41 kg irrespective of gender. 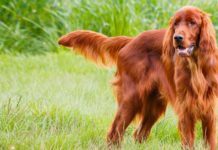 The dog has thick double coat which is dense in structure and short in length. Topcoat is rough and coarse to touch while undercoat is soft. It usually comes in shades of brown and grey and generally with agouti coloring. Its short coat is easy to groom. They shed moderately so few times a week brushing is recommended. Do not bath the dog pretty frequently else it can lose its natural oil found in coat. Trim its nails if it doesn’t get withered off naturally. Regular brushing its teeth is mandatory to keep its teeth healthy and bad smell at bay. Check its ear occasionally for any sign of irritation or wax build up. Use vet approved solution to clean its ear. 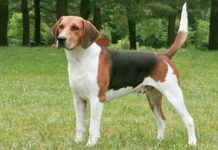 Personality – It is a handsome dog with athletic body structure. They would love to perform agility related activities. The dog is not at all confrontational so that makes them wary of strangers. It is a quiet breed that has strong “pack mentality” which means it should never be left alone from its humans pack. The dog is highly sensitive and get easily prone to separation anxiety. It is always recommended to have another dog pet at home. In this way, the dog will thrive in a cheerful environment. You should have open space where the dogs can play and have their own time. 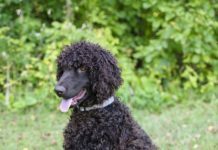 This breed is not suitable for novice owners who are unaware about dog’s characteristics and needs. 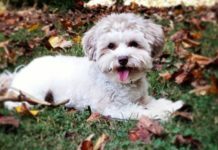 The dog is sweet and gentle and makes great addition to family. Behavior – They are calm breed provided you have fulfilled its energy requirement. They are good with older children and think them as a part of their pack but any interaction with toddlers should be supervised. Similarly, they are good with other pets at home if they are grown together. They are friendly with family cats but you should not trust the dog with small animals like hamster and Guinean pigs. Because of their high prey drive they may consider them as their lunch. They are not natural watchdogs. They are wary of strangers and not like to open up with them. Activities Requirement – You can take your dog on walk several times a day. You can also take it on running or jogging. The dog loves to swim especially in summer. But those who do not like water shouldn’t be forced to swim. 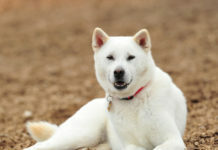 You can enroll your dog in agility related dog’s activities to keep its mind sharp and body in shape. 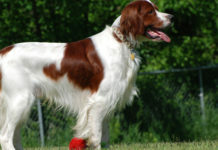 Trainability – The dog is highly intelligent and catches up skills quite fast. This also means that it also picks up bad habits easily. Correct the dog as soon as it does something wrong. Potty training can be harsh for them. Till longer years of life they will not understand where to do their business. Harsh correction or heavy handed training will make the dog prone to neurotic issues. Consistency is the key in training them. Puppy should be socialized at its early age. The first command you should teach your dog is- sit, heal, bed, come, quite, leave it, down, go etc. A dog should be fed same kind of food every day to avoid upset tummy. Their food should contain all the essential nutrients and minerals. Adult dog should be fed twice a day while a puppy should be fed four times a day. It should be given correct dose of exercise so that it can burn its excess calorie as obesity shortens a dog’s life. They live around 10 to 12 years. It is not a hypoallergenic dog. They are healthy dogs with no problems. Few of the concerns related to dogs are- hip dysplasia, dwarfism, and degenerative myelopathy and eye problems. 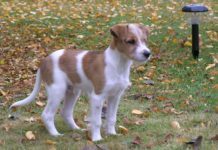 The dog is suited for houses which have open space like yard where they can have their own time and live freely. It thrives well in a cold climate. They are easy to groom. They need enough space to express themselves; not suitable for apartments.